CRAZY HIT! Super cheap 3in1 flights to Dubai and Philippines from Prague for €254, with Australia for €352! Here’s something really special for you – 3 in 1 deal to Dubai, Philippines and Australia for incredible price! The whole trip is available thanks to promotion from Cebu Pacific airlines which offer massive discount for all international flights from Philippines. Their promotion is valid for travel dates from June to 10th December 2015 and you have to book your ticket until 28th January! Multicity tickets Prague – Dubai – Manila – Sydney will cost you only €352 / 9795 CZK! You can also end your trip in Philippines and enjoy this beautiful country for only €254 / 7065 CZK from Prague! Cebu Pacific flies to many other countries too so you can continue from Manila to one of these cities too and get great final price: Bangkok, Beijing, Busan, Brunei, Dammam, Guangzhou, Hanoi, Ho Chi Minh, Hong Kong, Incheon, Kota Kinabalu, Kuala Lumpur, Kuwait, Macau, Nagoya, Osaka, Phuket, Riyadh​, Siem Reap, Singapore, shanghai,Taipei, Tokyo or Xiamen. 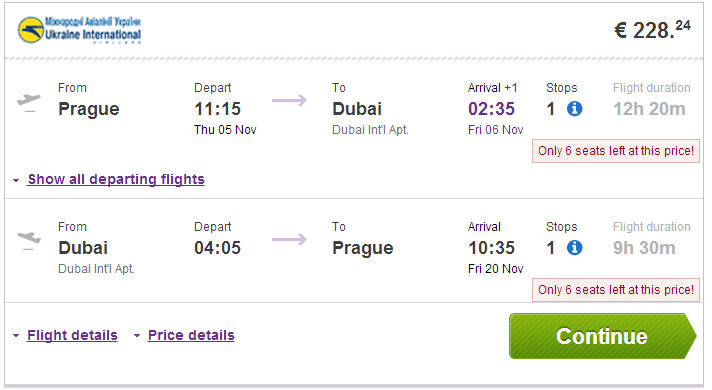 If you are not from Prague, you can look for flight to Dubai from your city and still get pretty sweet deal! You will travel with Ukraine International Airlines with 1 short stopover in Kiev for €228. 20 kg luggage is included. UIA flies for example also from Berlin (€315). You can stay few days in Dubai and enjoy the super luxurious city. Book your ticket through Vayama. Cebu Pacific offers super cheap flights to Philippines from Dubai. The ticket is available for 1 AED + fees which leads to the final price for return ticket just 107 AED, which is around 26€. Only cabin luggage is included but you can easily add 15 kg check-in luggage for €20 one way. Total price with the check-in luggage is €66. Book your ticket on Cebupacificair.com. You will fly again with Cebu Pacific for incredibly low price. 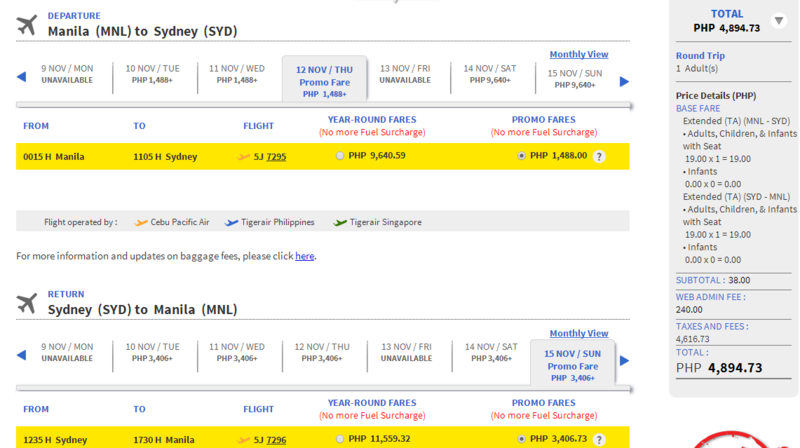 The ticket from flight from Manila to Sydney and back will cost you just 4.894 PHP which is €98. Only cabin luggage is included but you can easily add 15 kg check-in luggage for €20 one way. Total price with the check-in luggage is €138. Book your tickets fast, this won’t last long! 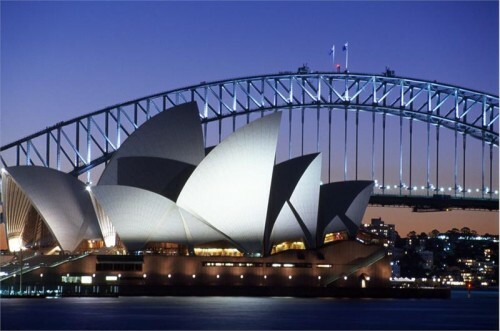 Sydney is not exactly cheap destination but it offers wide range of accommodation so if you look around a bit you can find some pretty good deals for both hotels in Sydney and cheaper hostels. « Cheap flights to Greece: Athens from Bratislava for €58!